What 100 Days Campaign would be complete without the little Corsican himself? Luckily, Baccus have a set called 'My Little Ogre Playset' featuring the pint-sized tyrant and his staff. It's an expensive set for the amount of figures you get, but there is only need to buy one, so I did. 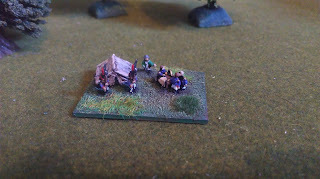 There are also two tents included in the set, here is Napoleon in his famous pose; feet resting on a drum. On one side are his personal infantry guards and the other is covered by his bodyguard Mameluke Ali. Napoleon on horseback is also featured, again with Ali close by and two other generals making reports. 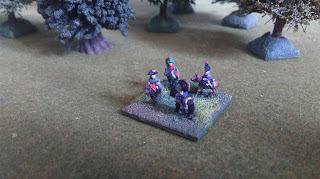 Here is Napoleon on foot discussing the ensuing battle with more staff officers. 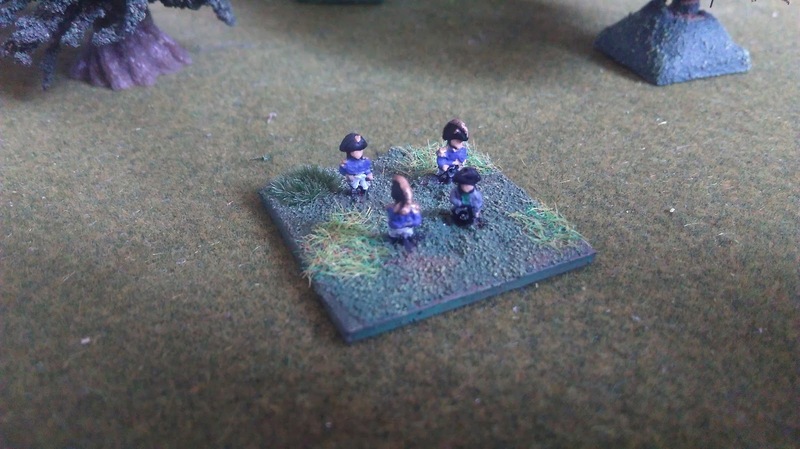 Each of these bases will be used for commander and sub-commander figures during games and certainly add a little something to the rest of the army. If nothing else, it was a chance for me to paint a lot of gold trimmings! As previously mentioned, I am selling a few items on EBay, to make room for more 6mm Napoleonic figures... After a lot of deliberation, the WW1 20mm collection is up for sale, I have set it at a price that I think is OK as it does include a lot of painted figures. 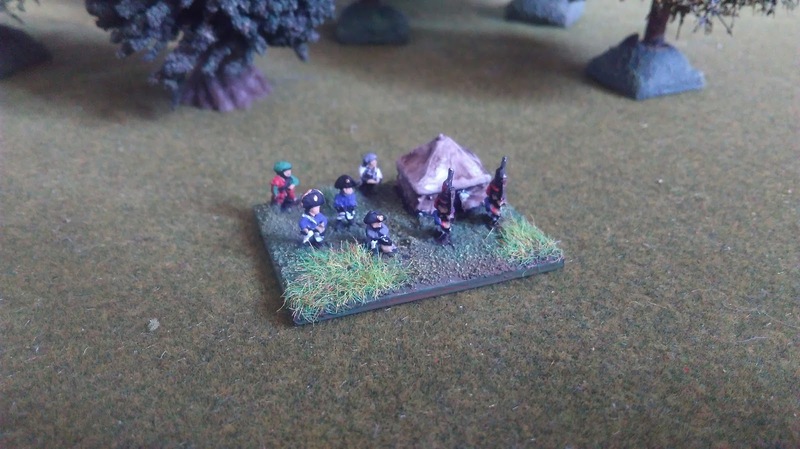 It is in two lots, the Germans and the British and includes infantry, support weapons and even tanks, click the links below to see the listings. There are plenty of better pictures scattered throughout my blog postings, click on the tags WW1, 20mm and Through the Mud and Blood to find them. 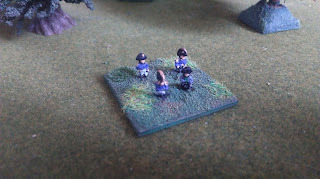 Also, be sure to check out my other listing as there are a few old school Games Workshop games up for sale as well. They are really nice- adds a bit of character to the table top. Thanks Pete, I like to think they do! Thanks Russ, I think they do too! Baccus really do some nice work!